The hidden jewel of the Riviera Maya, the Ixtlan Cenote & Spiritual Center complex is situated 15 minutes from the 307 highway on 1ha of land hidden away in beautiful jungle setting. It is a spiritual sanctuary and explorers dream like no other. The property is home to the most beautiful, serene and magical cenote you could ever see – it’s large cavernous entrance towering above the magical setting of the unique dining and relaxing area. Ixtlan has a triangular shape being 27m wide at the entrance and 42m long, with the central part perfectly suited for swimming and snorkeling with a comfortable depth of 2m – an unforgettable experience in the cool and crystal clear waters. Cenote Ixtlan is the only existing entrance to the Ixtlan cave – currently in the process of being listed in the Guiness World Book of Records as the world’s longest, single entrance underwater cave. The cave is vast, exceptionally beautiful and very decorated – considered by some to be the most beautiful underwater cave in the region, it is untouched and pristine, seen only by a handful of professional cave divers and explorers. This is the only such cave in the Yucatan entirely controlled by a single entrance and a single owner. If you desire to have your own personal underwater kingdom with complete control over access – be it for play, income or conservation in mind – this is the only property that can provide it. The special atmosphere is greatly amplified by the combination of the cenote and the exquisite meditation shrine which is unique in the Yucatan. Filled with precious relics from ancient masters of India and Tibet – some of them 2’500 years old – the “stupa” as it is called in Sanskrit – is a potent and constant source of tranquility and blessing for the surrounding land. It’s calming energy can immediately and clearly be felt by the lucky few who visit this place. The complex includes a beautiful traditional palapa style meditation room, retreat cabin, kitchen and caretaker facilities, bathroom, off-grid electricity used for lighting and water supply, private road throughout and close to 1000m/2 of parking space on site. The road leading up to the property is municipal, hence access is always guaranteed. 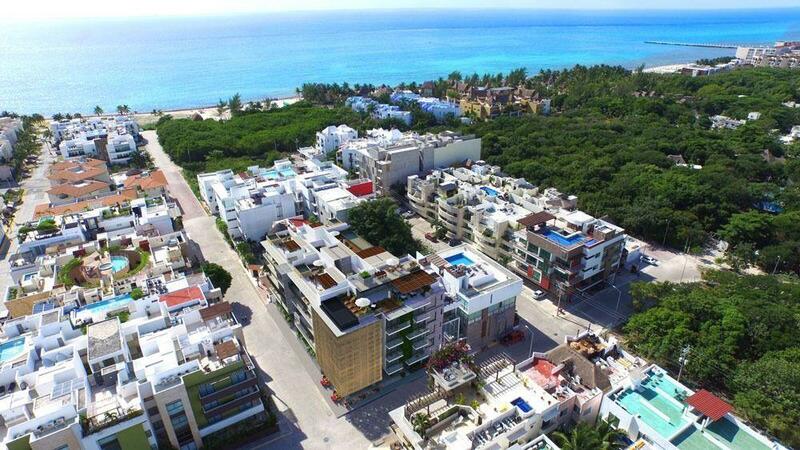 It is about 90 mins from the international airport in Cancun, 20 mins from beaches and shopping in Tulum and 30 mins from the private airport currently under construction at Puerto Aventuras. At Ixtlan cenote only the imagination is the limit for projects and development – it is suitable for an exquisite private personal retreat, be it luxurious or left in it’s natural beauty, it is suitable for spiritual and advanced communication groups, it is suitable for CEO’s and celebrities, it is suitable for any type of private or commercial use that could come to mind, cenote and diving operations, wedding venue, eco-tourism etc. It is a fantastic investment opportunity that is truly unique and guaranteed to grow in value. However it is developed, anyone who visits this place – be it close family and friends – or clients – will be left stunned and speechless. Schedule a private visit and see for yourself.